Level 2 Development is an award winning real estate development firm based in Washington, DC. Since 2004, Level 2 has planned, constructed and entitled over 1,500 residential units and 75,000 square feet of retail space. 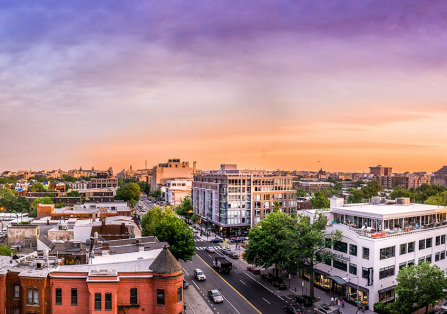 Level 2 specializes in the development of mixed-use buildings which transform emerging neighborhoods, and is renowned for its role in the renaissance of DC's 14th Street Corridor. Level 2's signature projects View 14, Capitol View on 14th, and The Harper have contributed 580,000 square feet of mixed-use space to the area, including 600 apartments and 55,000 square feet of retail. The result is a neighborhood that has dramatically changed from a blighted and underutilized zone to one of the most sought after and vibrant mixed-use communities in the District. The 14th Street neighborhood is now home to some of DC's most creative restauranteurs, boutique retailers, artists, and musicians. Level 2's approach to development is not constrained by convention. With backgrounds in engineering, retail entrepreneurship, economics, and architecture, Level 2's small team uses a dynamic and multidisciplinary approach to cultivate innovative development projects and deliver meaningful impact to urban communities. The core of Level 2's approach is its commitment to quality design and construction, and a working relationship with the community throughout the development cycle.